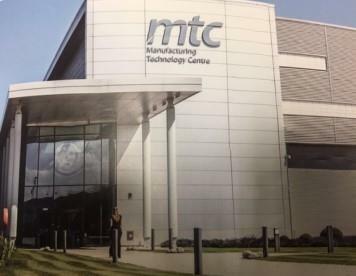 Recently Graham Vaughan (TD) and Gary Griffiths (MD) visited the Manufacturing Technology Centre in Coventry. The MTC bridges the gap between academia and industry by using both innovative processes and technologies. This meeting was hosted by Martin Dury, Training Operations Manager and Dr. David Brackett, the Technology Manager. This meeting has presented additional potential training and manufacturing opportunities that could be adopted in support of Amfin's customers. Further meetings are now planned.